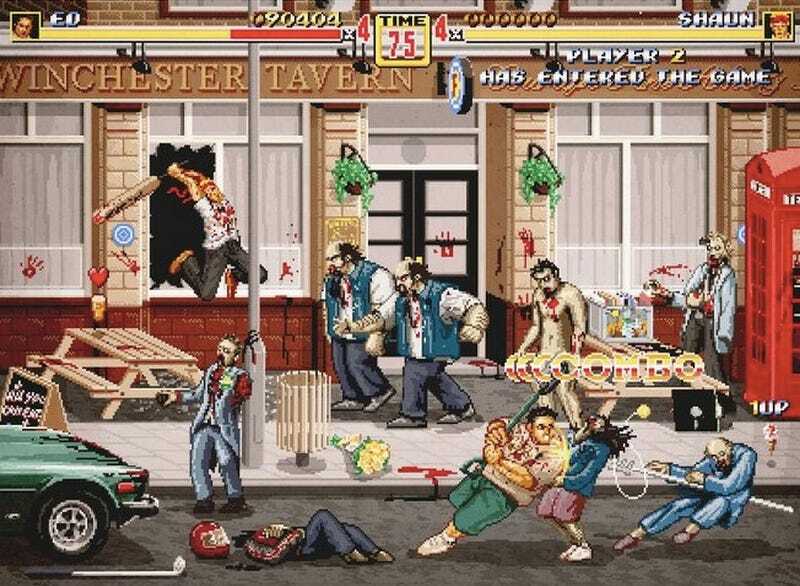 For Gallery1988's upcoming Crazy 4 Cult show in New York City, Aled Lewis has combined the classic Nineties beat-em-up game Streets of Rage with the mid-Aughts self-aware zombie flick Shaun of the Dead. 50 prints will be available at the show. Click on the lower-right to expand the entire image; note the weaponized vinyl and Cornetto extra life.